Blue dye demonstrates the flow of groundwater in this photograph. 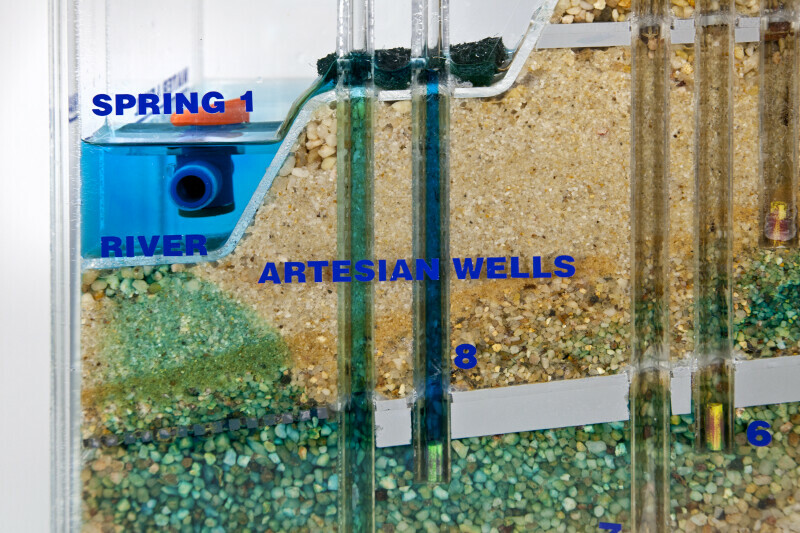 Groundwater has risen in the artesian wells and flowed into the river. Groundwater has also seeped up into the river showing a connection between ground and surface waters.